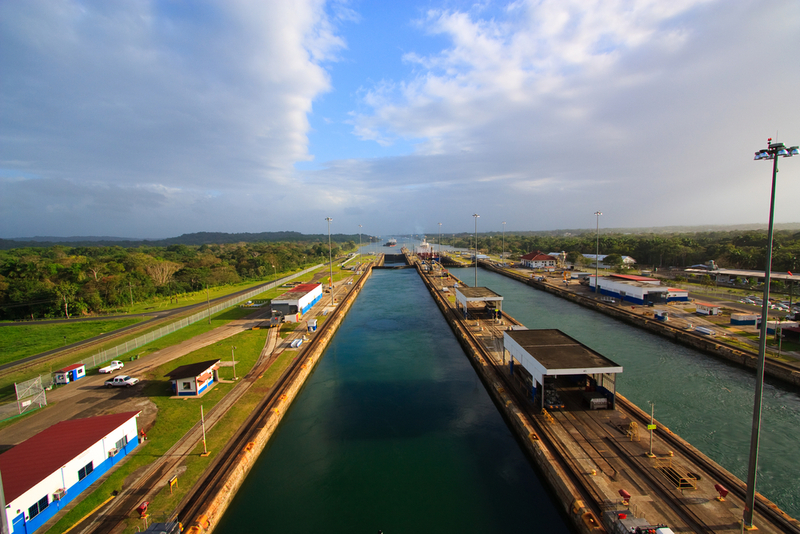 The bid for the construction of the third set of locks was adjudicated and the winning consortium, Grupo Unido por el Canal (GUPC), is beginning the process. The Group’s Executive Director Antonio Zaffaroni says that for the remainder of this year they are preparing by cutting trees, removing animals, and submitting all bureaucratic paperwork necessary for construction to begin. The GUPC is headed by Spanish corporation Sacyr Vallehermoso. Additional companies participating as well, are the Italian corporation Impreglio, Belgian company Jan de Nul and Panamanian corporation Constructora Urbana S.A. (CUSA). The GUPC was the lowest bid in terms of dollar amount yet it met all the technical criteria specified. The bid was adjudicated in July of this year and the consortium has 1,883 days to complete the project for which they bid in at $3,118 Billion. The first phase will be the excavation. This comes after they set up and and put into place the logistic and supply chain. Production facilities for armored concrete, cement., crushed rock and other raw material need to be set up, as well as facilities for unloading supplies that arrive. This entry was posted in Anything and Everything Panama and tagged Panama Canal third set of locks, The Panama Canal. Bookmark the permalink.